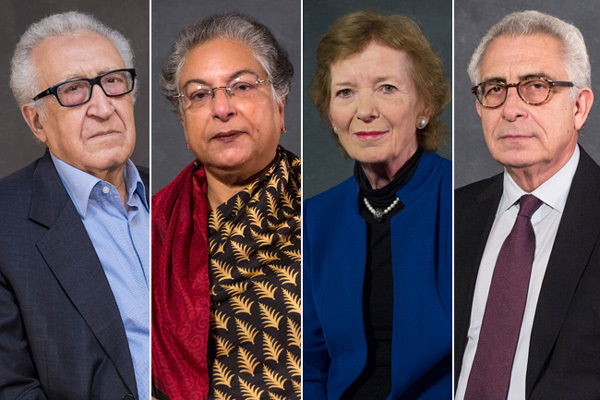 On 16-18 February, Kofi Annan, Lakhdar Brahimi and Ernesto Zedillo attended the annual Munich Security Conference for panel discussions and bilateral meetings on conflict resolution in the Middle East and wider global issues including democracy and globalisation. 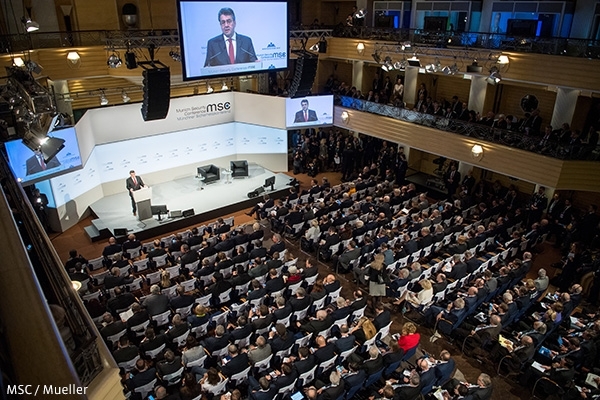 Kofi Annan, Lakhdar Brahimi and Ernesto Zedillo attended the annual Munich Security Conference from 16-18 February 2018. This was the third time that Elders attended the Conference, during which they took the opportunity to address conflicts and tensions in the Middle East and wider issues facing the world today. 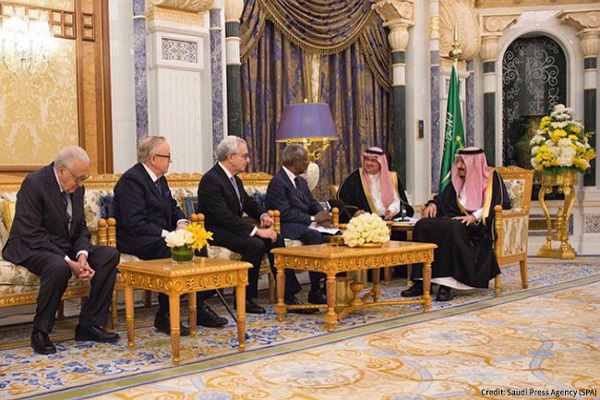 The three Elders proceeded to meet with António Guterres, Secretary-General of the United Nations, Jeffrey Feltman, Under-Secretary-General for Political Affairs, together with Staffan de Mistura, UN Special Envoy for Syria. The Elders also held discussions with Sheikh Khaled Al Jarrah Al-Sabah, Kuwait’s Deputy Prime Minister and Minister of Defence on regional security issues. During the Conference, Kofi Annan also held a ‘fireside chat’ with Eric Schmidt, former CEO of Google on Technology’s Impact on Democracy. This built on an announcement that the Kofi Annan Foundation would launch a new initiative on Technology and Democracy. Ernesto Zedillo also gave introductory remarks at an event on The Global Economic Order. Concluding the delegation to the Munich Security Conference, Lakhdar Brahimi and Ernesto Zedillo met with Mohammad Zarif, Iran’s Minister of Foreign Affairs, to encourage improved regional relations and to reiterate support for the implementation of the Iran Nuclear Deal.